I see tea as more than just a beverage. It's a grounding ritual for me and a wonderful way to bring community together and share culture. I grew up making Taiwanese oolong tea for my mom, eventually drinking it myself as soon as I was able to handle caffeine. I remember sitting as a child at beautiful tea tables in Taiwan, captivated by the gongfu tea ceremony, while the adults chatted away. A high school friend had a beautiful gongfu tea set and we’d lose hours in conversation brewing pot after pot of tea. As my disposable income grew, so did my collection of tea and teaware. I have since expanded my palate to appreciate the complexities within the six main categories of tea, but there is still so much to learn. People say you could spend a lifetime learning about tea and still not know everything. I enjoy brewing tea at home and probably own too much teaware. I also enjoy visiting tea houses - it’s one of the great, simple joys of my life. There’s something about the atmosphere of a proper teahouse that is so calming: the sounds of water boiling, tea pouring, the slow movement, the soft sounds of ceramic on ceramic, the way the teapot feels, the fragrant yet subtle smell of tea - it makes time slow way down for me and keeps me right in the present. I’ve long said my retirement job is to open a teahouse to share tea and tea culture with people. I might have to do something about that sooner than retirement though.. it feels like a calling. 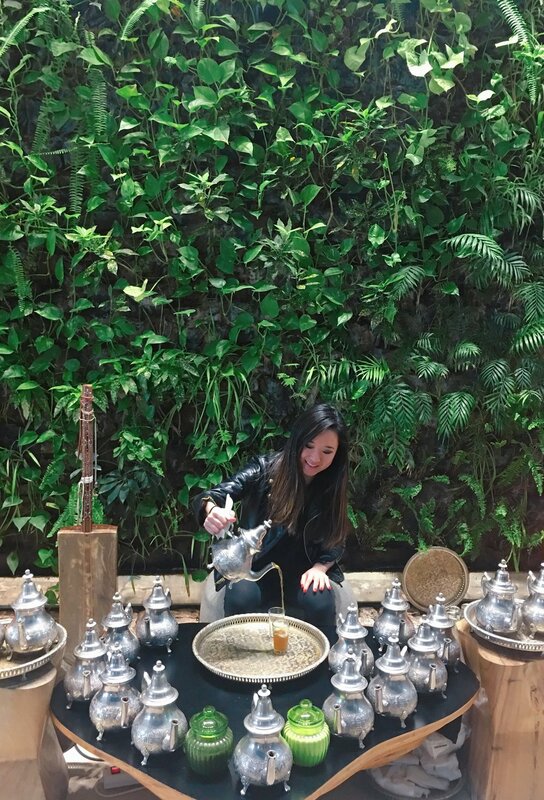 For now, I dream up and host pop-up tea experiences, some of which is shared here and on Instagram @teawithinga. Get in touch if you want tea recommendations or want to collaborate! My last tea trip to China and Taiwan in fall 2018. A few year before that, we brought back 8 pounds of tea!